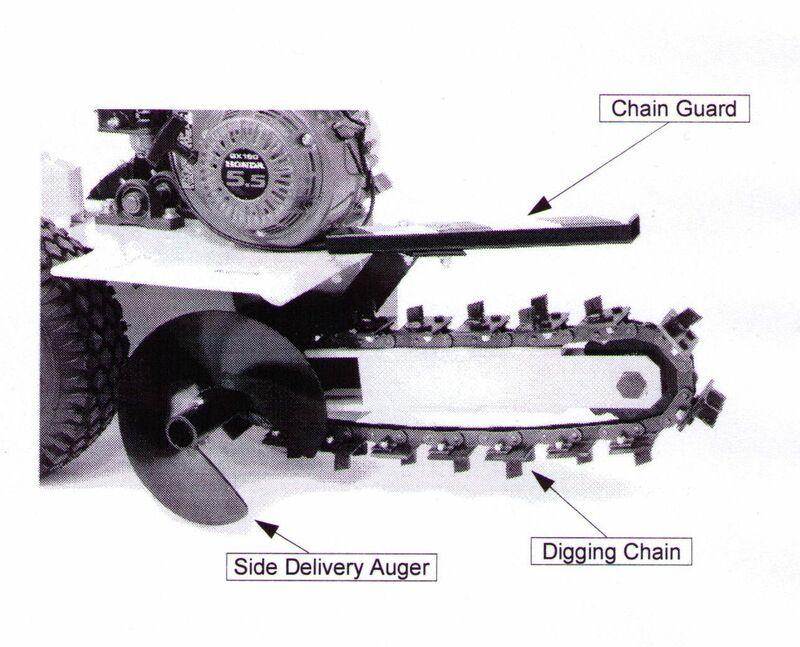 The model T-4 Walk Behind Chain Trencher is a small push type chain trencher available with an 18 inch long chain bar and 3 inch wide chain to trench 3 inches wide and 18 inches deep. This design is extremely durable and easy to maintain and is perfect for rental and commercial applications. Its narrow highly maneuverable design allows the T-4 easy access to job sites. T-4 uses carbide tipped teeth: the model GTH-4-HS18 order the unit comes with either carbide tipped shark style teeth for digging in most soils; carbide tipped bullet style teeth for digging in rocky soil conditions are available (with purchase of an additional chain). 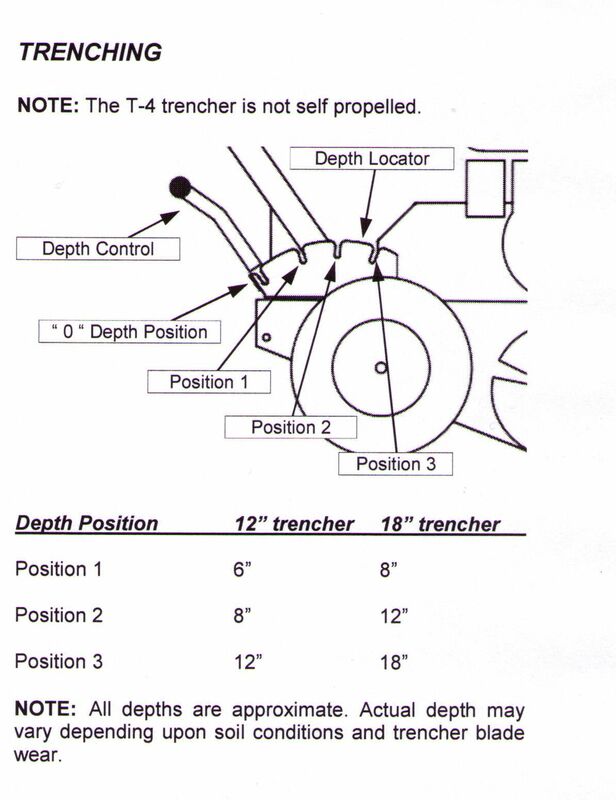 The maximum digging width is 3 inches with this chain. Three engine options are available: Briggs and Stratton; Honda; and Subaru - the model listed on this page will normally be a stock item, units with different engine and chain configurations must be special ordered. Two different chain types: both are carbide, the carbide Shark type teeth are sharper and are used for finer/regular soils; the carbide bullet type teeth are used for rocky soil. Two choices of teeth are available: Shark Tooth Style Teeth are standard and what will be in stock, units with Bullet Style teeth can be special ordered with a 30 day lead time. 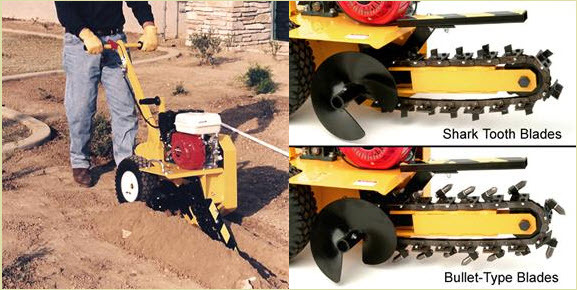 Model GHT-4-HS18: Trencher with 3 inch wide chain with carbide shark style teeth, mounted on a 18 inch long chain bar, with 5.5 hp Honda engine - Click the link below for price and to go to the order page. 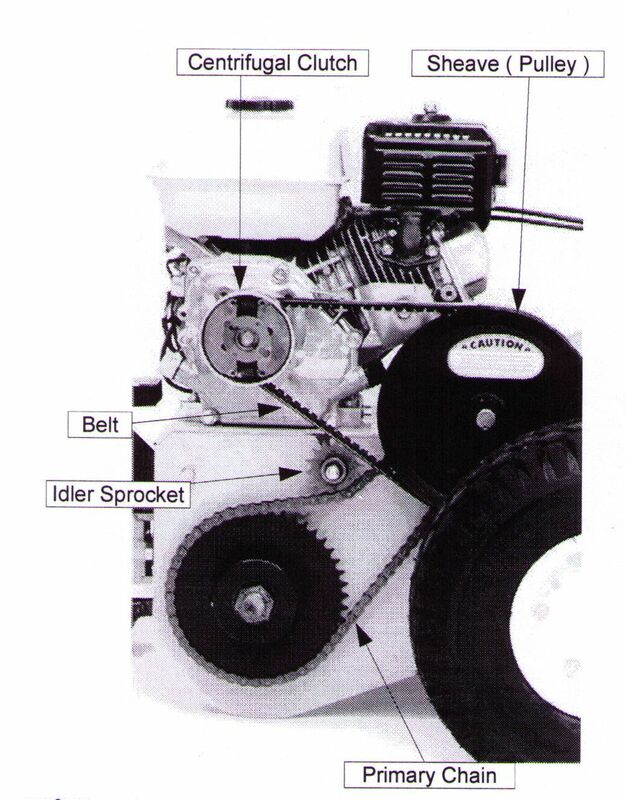 If you need replacement chains when ordering a trencher, on the trencher order page, click on the drop down menu on the page and order the chain needed.